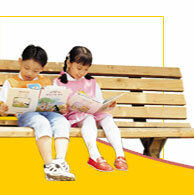 Riding For Reading was founded in 1997 by Penny Carpenter, Lisa DaValle, and Marnye Langer. Their goals were simple: How do we take the sport we enjoy and the animal we love and combine it with some of our deepest held values of literacy and education? Their answer was Riding For Reading, and in its first three years the non-profit organization donated over $20,000 to school libraries throughout Northern California and reached over 200,000 elementary, middle, and high school students. 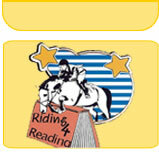 The Riding For Reading Class is an opportunity for students from 1 through 12 grade to earn grants for their school�s library in a horse show competition. Riding For Reading supports the Ayn Rand Institute�s annual essay contests, which award scholarships to both high school and college students. Book drives help place new and used books in our communities in the most needed areas, like schools, libraries, and youth organizations.